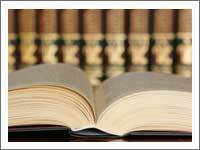 The CFS research agenda is developed in conjunction with the Board of Advisors, yet research practices and conclusions are independent. Global Shocks: An Investment Guide for Turbulent Markets, 2016 - CFS Senior Fellow Nicholas Sargen argues that investors who understand the common elements in crises have a better chance not only of surviving them, but ultimately of benefiting from them. Wall Street, the Federal Reserve and Stock Market Speculation: A Retrospective, 2015 - In a new monograph published by the Center for Financial Stability, Professor Elmus Wicker provides historical insights on the interplay between the stock market and the Federal Reserve. Opportunities in a New Asset Class, 2014 - CFS Advisory Board member Richard Sandor and his co-authors provide a solid preliminary understanding of the promising and transformational new investment category of environmental assets. Studies in Hyperinflation & Stabilization, 2014 - Gail Makinen and his coauthors examine 20th century hyperinflations: How did they happen? What were the consequences? How did they end? By pulling episodes together, the book throws light on common patterns of error and success in dealing with hyperinflations. The Bretton Woods Transcripts, 2012 - CFS Senior Fellow in Financial History Kurt Schuler and CFS Research Associate Andrew Rosenberg offer the reader a front row seat at the conference that has shaped the international monetary system for nearly 70 years. Good Derivatives: A Story of Financial and Environmental Innovation, 2012 - CFS Advisory Board Member Richard L. Sandor tells the story of how financial innovation has been a positive force in the last four decades. If properly designed and regulated, these “good derivatives” can open vast possibilities to address a variety of global problems. Getting It Wrong: How Faulty Monetary Statistics Undermine the Fed, the Financial System, and the Economy, 2011 - CFS Director of Advances in Monetary and Financial Measurement William A. Barnett argues that too little use of the relevant economics, especially from the literature of economic measurement is to blame for the recent financial crisis and that better financial data could have signaled the misperceptions and prevented the erroneous systemic-risk assessments. 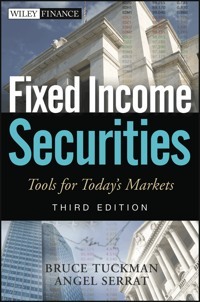 Fixed Income Securities: Tools for Today‘s Markets, third edition, 2011 - CFS Director of Financial Markets Research Bruce Tuckman provides the conceptual frameworks, quantitative tool-kit, and cash-flow and pricing conventions for fixed-income practitioners. The Basel Committee on Banking Supervision, 2011 – CFS Advisory Board Member Goodhart tells the story of the early years of the Committee from its foundation in 1974/5 right through until 1997 and provides an assessment of its actions and efficacy. 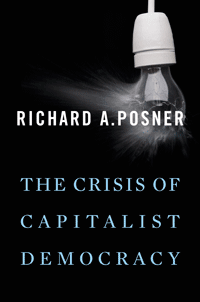 The Crisis of Capitalist Democracy, 2010 — CFS Advisory Board Member Posner raises the question of the adequacy of our democratic institutions to the economic challenges heightened by the greatest economic crisis since the Great Depression. View the most recent financial stability reports for 24 advanced and 36 emerging economies.